So last week I got to do something that I really never even considered a possibility in my professional or personal life. I organized and helped with a commercial shoot for a client inside Grand Central Terminal in New York City. It was a great experience working with a great videographer and actor in such an iconic setting. The shoot when amazingly well with really no complications at all…and most importantly the client was happy. I can’t wait to see the outcome! Part two of this trip fell into place on some really crazy circumstances that I really can’t talk about. What happened was an opportunity of a lifetime. When I learned of the dates of the shoot at Grand Central Terminal, being a Yankees fan I checked for home games while I was in the city. Luckily they happened to be playing the hated Red Sox while I was in town. Thanks to a special contact I was able to secure some amazing seats to the game (12th row behind first base!). My boss and I were going to experience an amazing rivalry in a beautiful stadium from an unbelievable vantage point. So things came up that led my boss to have to cancel his part of the trip and I was left with an extra ticket to the game. So who else do you ask first? I called Dad. 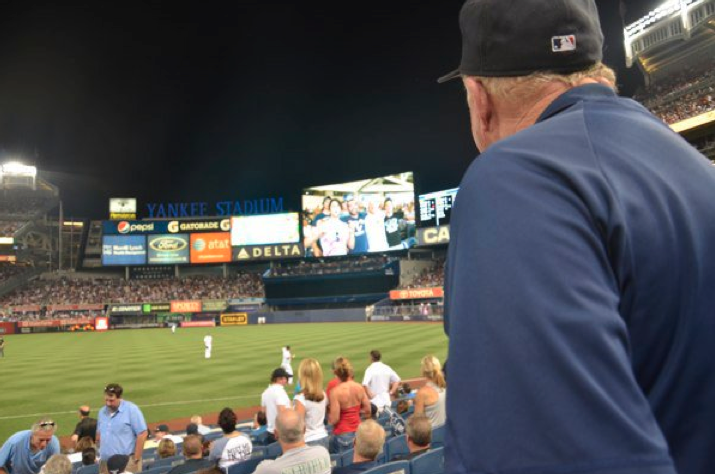 Being a life-long Yankees fan, Dad was excited for the opportunity but was a little leery of traveling to NYC by himself and getting around. THANKFULLY he decided to come anyway. Dad made it to the hotel without any issues and I met up with him as soon as my shoot was done. We had dinner that night and as he would say “mentally prepared” for the game the next evening. Leading up to the game we were able to head to the top of the Empire State Building, hung out in Central Park and took the time to tell stories and talk. It was a great opportunity and experience in itself. Two small town guys taking in the intrigue of New York City with no plans and really nothing we had to do or see, until game time! 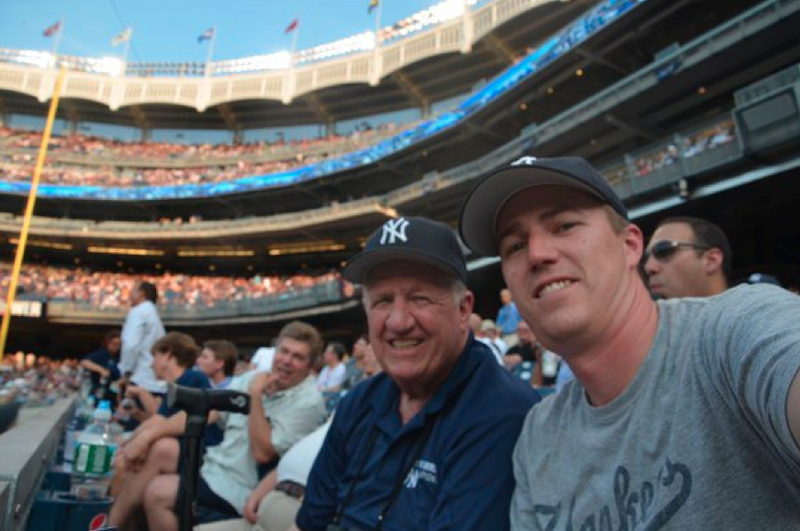 My brother and I were able to go with Dad to a couple of games in the old Yankee Stadium before they tore it down and it was great to be able to bring him to the new stadium for such a rivalry game. The game proved to not be that great in itself but we still had great seats in a great stadium and were able to experience it together. If you ever get the opportunity to do something with your dad after you are an adult it truly is special. You realize a lot about yourself and how much you emulate your parents. You can really appreciate all that they did for you. So Happy (early) Father’s Day Dad! Thanks for making the trip.